See also Immigration for Czech Families by clicking here. Obtaining an entrepreneurial visa is a great way for Czech national to live and work in the United States. Whether you are from Prague, Bohemia, Plzeň, Karlovy Vary, Moravian, Silesian, Zlín, Vysočina or any other region of the Czech Republic, there are business related immigrant visas available for you, even if you do not yet have a business. We assist our clients in expanding their existing businesses and establishing new businesses in the United States. What if I am already running a business in the Czech Republic? Are there work visa options available for me? What is a treaty investor visa? Are Czech citizens eligible for them? 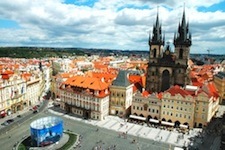 Yes, Czech citizens are eligible for treaty investor visas, which are known as E-2 visas. These visas require a modest investment into a business in the United States. Also, unlike the L visa described above, there is no requirement for a Czech national to operate a parent or affiliate company outside the United States. 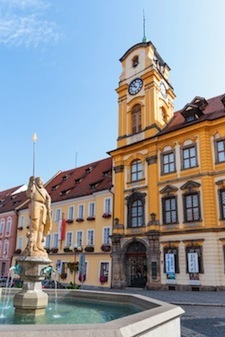 E-2 application packets are submitted to the Consular Section of the U.S. Consulate in Prague at least two weeks prior to the applicant’s scheduled interview. By working with Davies & Associates, we can ensure that your visa application complies with the E-visa program generally and the unique application requirements of the Prague Consular office. For more information on E-2 visas, click here. Is there a way for Czech investors to directly apply for Permanent Residency in the United States? Yes, Czech citizens who wish to invest a minimum of $500,000.00 can are potentially eligible for an immigrant visa program known as EB-5 visa. This is a popular immigration program, and Davies & Associates has experience assisting investors from all over the world take advantage of it. Many investors seeking approval of an EB-5 visas encounter difficulties demonstrating that the funds used to invest were generated by a source that can be documented. Our team of lawyers has successfully assisted many clients address this issue. Also, Davies & Associates has experience with EB-5 Regional Centers, which put together deals enabling investors to participate in pooled investment projects that will qualify them for EB-5 visas. We assist our clients in gaining the necessary knowledge to carefully select the Regional Center and project that is right for them. More information on the EB-5 visa process can be obtained by clicking here. If I am married and/or have children, can my family join me in the United States? Different visas have different rules for allowing families join the visa applicant in the United States. They also differ in whether the family members are permitted to work. All of the visas discussed above allow the visa applicant’s spouse to work in the United States. EB-5 visa initially issued for a conditional two year period. Global reach. Davies and Associates has offices in many regions of the world, and our lawyers have worked with innumerable U.S. Consulates with their unique rules and requirements. While some application are submitted in the United States, many applications are sent directly to the U.S. Consulate in Prague. Davies & Associates can help you navigate this process. Customer Focus. By putting our clients first and listening closely to their needs and goals, Davies & Associates has excelled at tailoring the immigration process to meet your individual objectives. Through this process, we have a proud record of achieving first-rate results. Attorneys from Davies & Associates will help you prepare for this interview.